Cn y fnd th mssng lttrs? 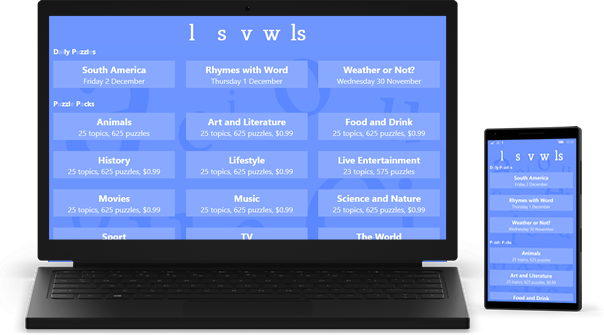 We'll show you a list of puzzles on a specific topic (from "Best selling authors" to "FIFA Ballon d'Or Winners" and all kinds of things in between). The catch is that we've taken the vowels out and moved the spaces around - all you have to do is work out where they should go! 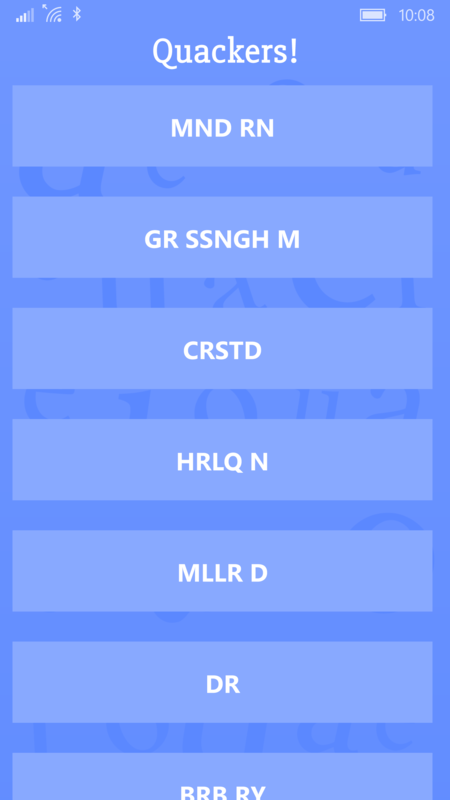 Could you guess that "THHT CHKRSG DTTHGL XY" is "The Hitchhiker's Guide To The Galaxy"? There are currently no trailers available for Loose Vowels. Check back later for more or contact us for specific requests!